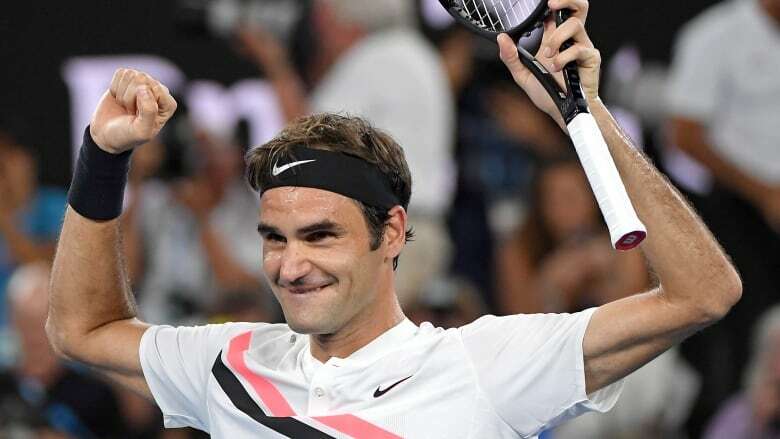 ​Roger Federer has won his 20th Grand Slam singles title with a 6-2, 6-7 (5), 6-3, 3-6, 6-1 victory over Marin Cilic in the Australian Open final. Back where his career resurgence began last year with an unexpected run to the title following a six-month injury layoff, Federer had an almost perfect title defence until he reached the second set of the final. After going through four years without winning a major, Federer has now won three of the last five. "I'm so happy. It's unbelievable," Federer said, taking deep breaths and choking back tears. "Of course, winning is an absolute dream come true — the fairytale continues for us, for me, after the great year I had last year, its' incredible." The 36-year-old Federer started with an intensity that stunned Cilic, getting service breaks in the first and third games and forcing his Croatian rival to go for a new racket after just 12 points. Federer only conceded two points on his serve in the opening set, which lasted just 24 minutes and was played under a closed roof on Rod Laver Arena because of the heat outside. But Cilic rallied in the second, getting his big forehand working and, after missing a set point on Federer's serve in the 10th game, levelled the match in the tiebreaker. Federer won the third set in 29 minutes and was up a break in the fourth but momentum swung fully again, with Cilic going on a roll to level the match. Federer's first-serve percentage plummeted from above 80 in the third set to 36 in the fourth as Cilic attacked. The fifth started with Federer fending off two break points to hold, then breaking Cilic for a 2-0 lead. Federer upped his level when it counted most, breaking Cilic again in the sixth game and then closing out love — including an unsuccessful challenge from Cilic on match point — to start his celebrations. "Big congratulations to Roger and his team — it's amazing what you guys do," Cilic said. "It was an amazing journey for me to come here to the final. I had a slight chance at the beginning of the fifth, but Roger played a great fifth set." Federer had won eight of their previous nine matches — his only defeat coming in the semifinals of the U.S. Open in 2014, where Cilic claimed his first major title.